It seems that the guys in Indonesia have been busy for a while now, but other crash bar options are still a well kept secret. I haven’t bought any as of yet, but will collect some info here on whats available. Hopefully it will be helpful for some of you too. If you know of some bars that are not listed, please let me know. *Apologies for the borrowed imagery. I trust that accessory manufacturers will benefit from me featuring their products and tolerate me borrowing some pics. The Photo isn’t the best possible, but searching for #coriazmotoadventure in Instagram will get you better pics. The first option is definitely for those who wanted a R1200GS, but couldn’t afford it… 😦 In my opinion all the options spoil the looks of Rally. Some of the bars also look like they would not survive a crash and maybe even cause more damage than without… Don’t want to judge without seeing them first hand though. You are right. Especially the second one. It’s just mount to plastics. Not to the frame. I like the look of the Advance Adventure bars. I might try and get a set and mess around with colours. A gloss red would look great. Yeah, my favourite too. The T-rex bars look business, but I don’t like the lower cross bar. It looks like it’s bound to snag on to stuff rather than slide over.  Neither one has any crash bars listed on their website for the Rally. Where did you get this info? It does seem that Louis states that Hepco has a suitable bars for the Honda. Hepcos own website doesn’t have anything for the Rally, nor is anything available from ebay for Rally by H&P. I also don’t think the chrome bars pictured on the Louis.de site are for the Rally. Quick googling has turned up this – https://bigbiketech.com/products/5019760001 – though why Philippines is ahead of the rest of the world is not immediately obvious. I would expect that you can ask Louis about details, them being German and having lots of ordnung, probably the best bet. Good find again. That won’t work for the Rally though. The picture is the same as the one on Hepco & Becker’s European site. The part is listed for the 250 L only. To me it seems that Big Bike tech is selling the 250 L crash bars for the Rally. This obviously means having to seriously modify the fairings to make them “fit”. I use Agna crash bar, made in Indonesia. Dropped the bike once at rocky terrain with no visible damage, though the drop was in very low speed. Hi everybody from France, I bought a 250 Rally in July and I’m looking for parts to go on the Trans Euro Trail. Thanks a lot for your website, really great and useful. I’ve read everything! About the crash bars, I’ve had a look on those posted by MBRAVORUS. They’re sold in two parts (lower and upper guards) and I think I’m going to buy them since they are sold in Europe. My question is: will they be compatible with one of the skid plates you posted on your website? Thanks a lot!